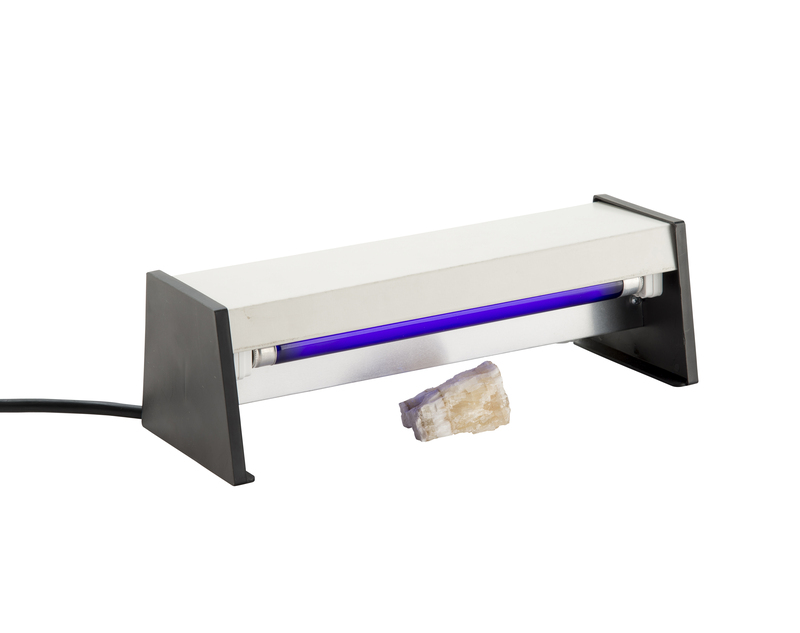 Analytical UV lamps excite luminescence in substances by using a wavelength in the UV light spectrum to create luminescence and phosphorescence in the visible light region. These lamps are available in UVA, UVB and UVC wavelengths, both AC and DC voltage, and either in lamp or LED form. 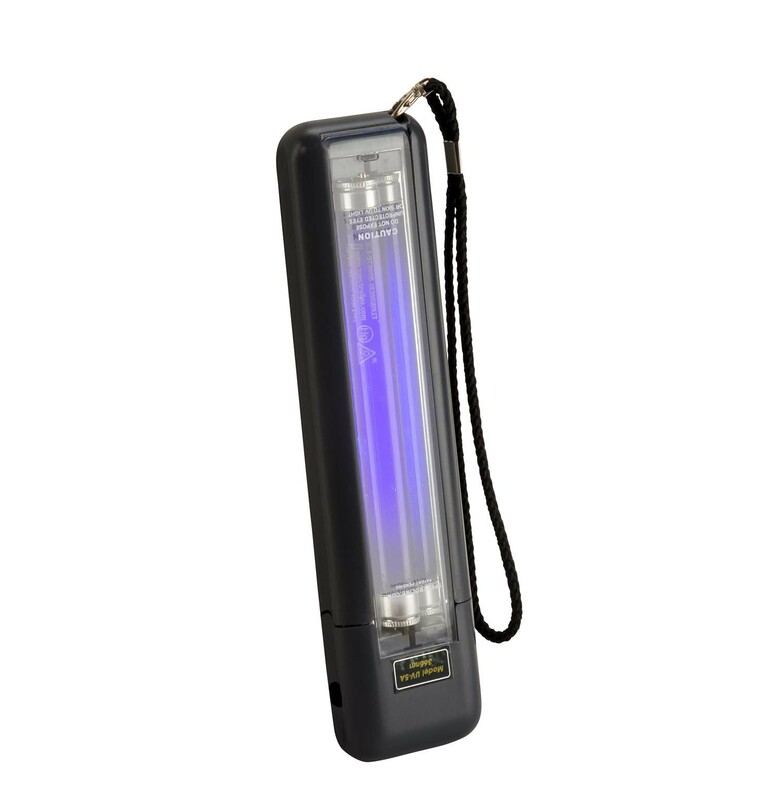 Complete range of handheld and freestanding black light units suitable for inspection, admission control, forensic, counterfeit detection, curing and mineral detection. This desk top unit is fitted with a 6 watt BLB long wave filtered lamp and is designed so that material may be passed under the lamp and fluoresced. It has been used for invisible signature systems in banking and extensively by hobbyists in philately and numismatics. 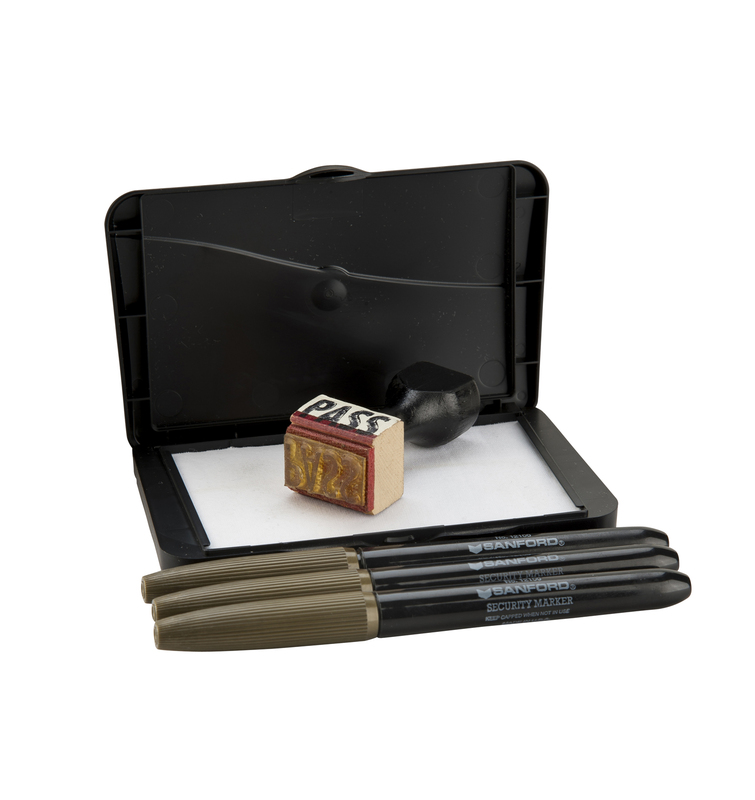 Identifies any object which has invisible markings including cheques and credit cards. 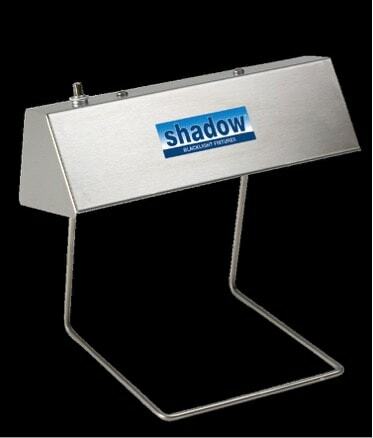 Measures approx 240mm x 80mm x 80mm with 240v operation and of robust construction. Portable hand held units for product inspection, forensic, rodent detection and security systems Available in either long wave or short wave versions. Ideal for noodling! 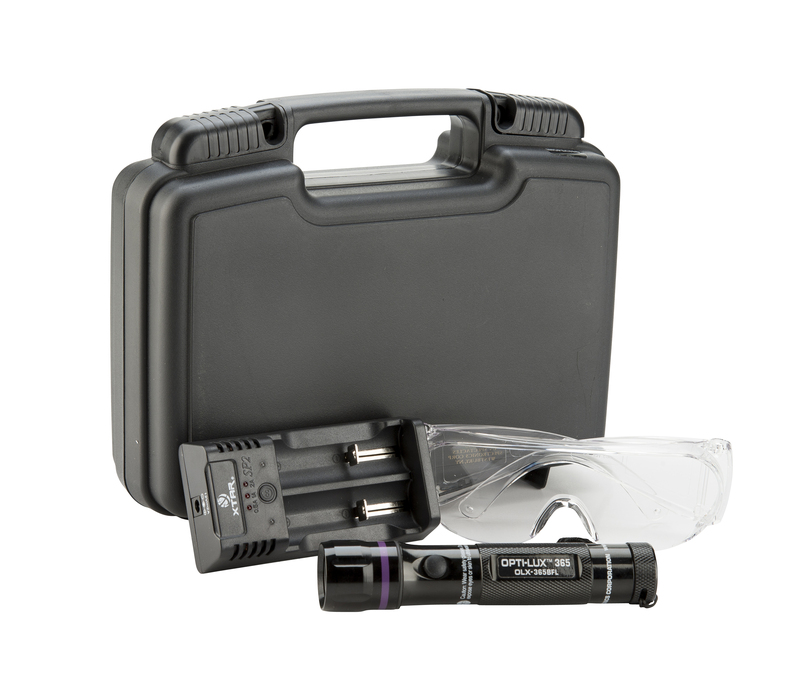 UVA LED high intensity flashlights for various NDT applications. A felt tip marker pen which is used for marking all personal items leaving details in invisible ink. The markings are only detectable when irradiated with a BLB lamp. May also be used for re-admission and forensic applications.